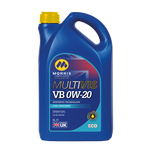 Morris Lubricants - Multivis ADT C2 5W-30 is a mid-SAPS synthetic based multigrade engine oil formulated to meet the superior performance and fuel efficiency requirements of engines requiring low viscosity oils for gasoline and diesel engine applications. Multilife C-THREE 5W-40 is a mid-SAPS (Sulphur, Ash, Phosphorus) synthetic multigrade engine oil specially formulated to meet the superior performance and fuel efficiency requirements of modern engines requiring low viscosity oils for gasoline and diesel engine applications. Multilife C-THREE 5W-40 has been developed for use in Euro IV compliant vehicles using after treatment devices. Multivis ADT C4 5W-30 is a low-SAPS (Sulphated Ash, Phosphorus, Sulphur) fully, synthetic multigrade engine oil specially formulated to meet the superior performance and fuel efficiency requirements of modern engines requiring low viscosity oils for gasoline and diesel engine applications. 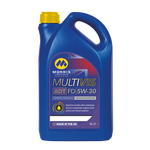 Morris Lubricants Multivis ADT FD 5W-30 is a synthetic tehnology engine oil specially formulated to meet the superior performance and fuel efficiency requirements of the latest generation of Ford diesels. Multilife VX 5W-30 is a fully synthetic advanced lubricant, designed for use in the latest technology engines, including those fitted with exhaust gas after-treatment devices. Multilife VX 5W-30 meets the requirements of VW Standards 504.00 and 507.00 and can be used in all of their current engine designs. Multivis CST SS 10W-40 is a semi-synthetic engine oil manufactured from advanced Group II and Group III base fluids and the latest additive technology. Servol 10W/40 engine oil is manufactured from high quality base fluids and a carefully balanced additive system. Servol 15W/40 is manufactured from high quality mineral oils and a high performance additive system. 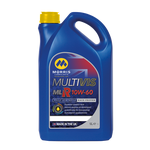 This grade is designed for use in petrol and diesel engines and their turbocharged versions.